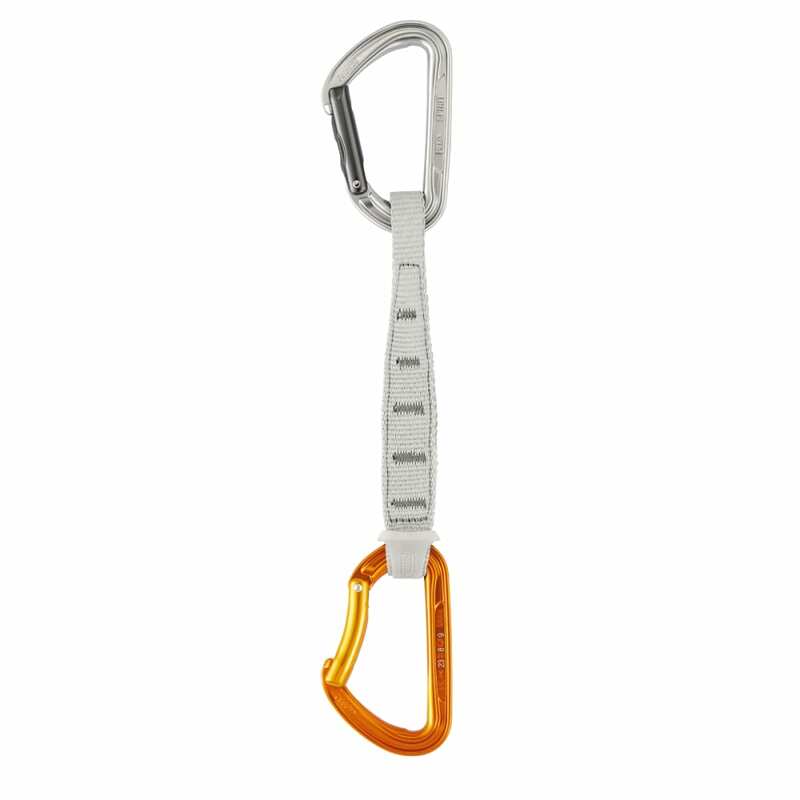 The SPIRIT EXPRESS quickdraw offers better clipping for sport climbing. Weighing less than 100 g, it is versatile and moves easily from the crag to long sport routes. It has a straight-gate SPIRIT carabiner on top and a bent-gate version on bottom. The top carabiner, equipped with the Keylock system and a special nose shape, facilitates clipping and unclipping the anchor. The bottom carabiner, with bent gate and Keylock system, facilitates clipping the rope. The EXPRESS sling is equipped with a STRING protector to hold the lower carabiner in position. Its ergonomic shape offers excellent grip when working a route.